I read this article and found it very interesting, thought it might be something for you. The article is called Peter O’Brien – Happenings and is located at https://www.totallydublin.ie/more/peter-obrien-happenings/. Peter O’Brien is the founder of Happenings which runs civic-minded events across the city and beyond each summer. What are Happenings up to this summer? We will be doing the usual cinema events but without as many dates as usual. 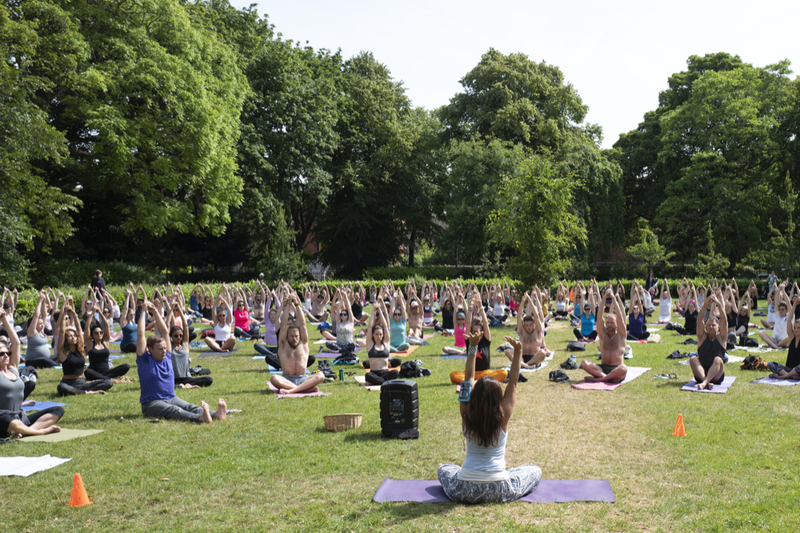 Strategically we are going to partner up with Dublin City Council (DCC) more on our yoga events which began in Dartmouth Square and are spreading to other city parks. Because of that success we have been building a new relationship with DCC and seeing how we can bring more activations with more consistency to different parts of the city. We want to extend what we can offer different areas and spaces leading to cinema, music, community days, more diverse classes, markets and Street Feast. Given so many of your events are in public spaces, how has the spell of good weather impacted on them? We got proper Leaving Cert weather this year and that has lead to yoga being an unprecedented success. Of course, that in itself leads to issues such as scale so we are working with DCC to ensure the safety of these events and to preserve their benefits for the locality. What sort of criteria do you apply when considering commercial partnerships? Finding the right fit is always crucial. 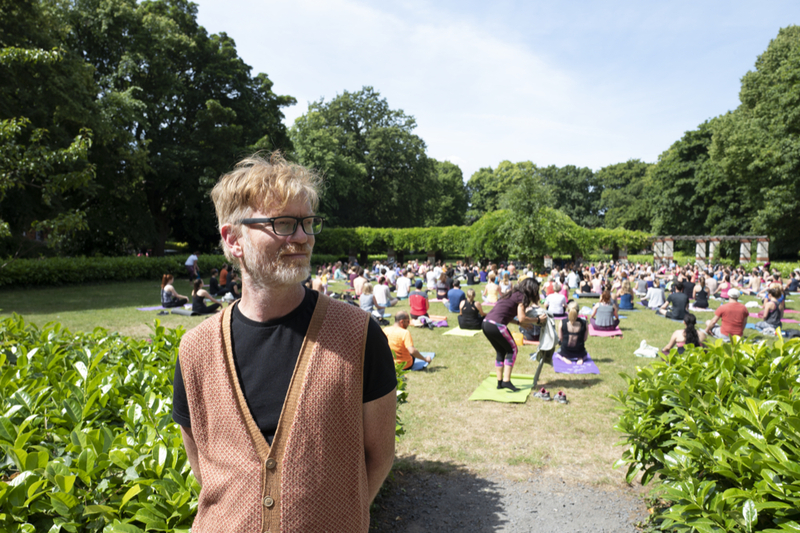 We haven’t had many brand partnerships to date though we have been working with 7-Up and summer cinema, with dates in Merrion Square as always. They are aimed at a somewhat younger audience but it fits with our outdoor cinema in that it makes people think of summer and fun. Our partners need to fit what we are doing, 7UP Free and Summer Cinema and makes sense. Have you noticed a personal change in what you want to create and be associated with in the city over recent years? Becoming a father in recent years and the fact that my son Myles has autism has definitely impacted me in ways though my core concerns have largely remained the same. I am interested in more structure and strategic planning. We’re looking into the idea of creating Breathe — a wellbeing and mental health festival, we’re at the early stages of planning a conference on autism. I have definitely become more interested in conferences and educational events, but we will always bring, creativity and fun to everything we do. Laughter and craic is a must on this great island. Being civic-minded is at the core of most of your offerings? How important is instilling this in attendees of Happenings events? I couldn’t be arsed being involved in something if there was no social impact whatsoever. Another Love Story might be billed as a festival and party but there’s a lot of values attached to its creation, programming and the overall experience for people on site. You can have the craic with a wellbeing element associated with any event. Are there any international events you feel the city would benefit from? 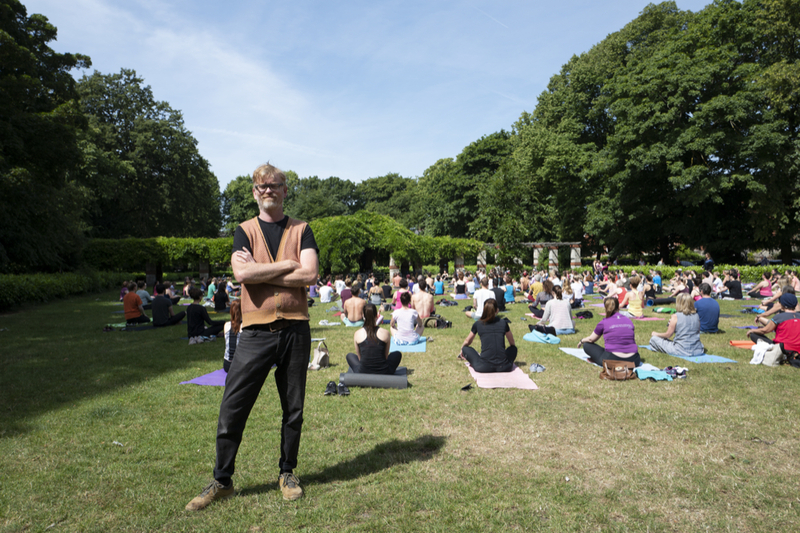 With Breathe we’re looking to attract some international speakers such as Dr. Gabor Maté and Russell Brand. If you had a wishlist for changes in the city what would they be? The main drive is creating a strategic and structured links between DCC and all councils, OPW, Waterways and the organizations that manage our collective commons and the creative, civic-minded groups and energetic groups and individuals with the hunger and drive to activate these spaces with the inspirational activities that bind the communities that surround them. This is happening and the appetite is growing on both sides. The future looks bright in this department.